Considering the events of the last days, it seems the world experiences a new gold rush. Many of the world's central banks tend not only to replenish their actual gold reserves, but to return them back to their national depositories. 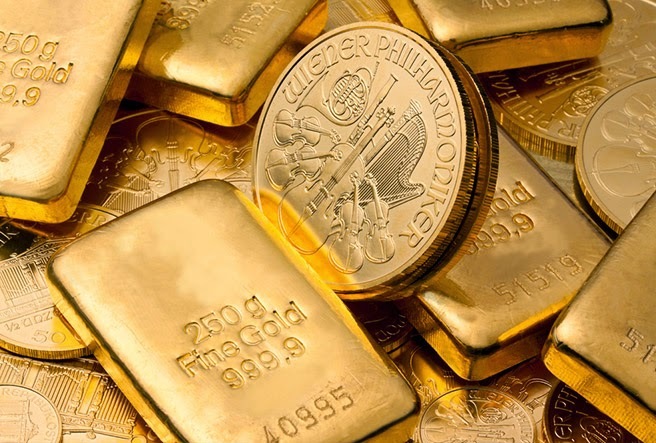 For example, recently the Netherlands, following the example of many European countries, announced their plan to return their gold reserves from the United States into the territory of the country. Of course, this great demand and desire to keep the national gold reserves within the countries caused a rapid rise in the gold price. We recall that in early January, the price of gold increased by $ 30 and was fixed at the strong level of $ 1,230. This was great news for all the gold market participants who expect a further growth in the price of gold. The participants of the gold market have observed a stable increase in the price of gold for 7 days in a row. The prices have reached their maximum in five months and were fixed at the high level of $ 1,294. Therefore, in January, the price of gold is 9% higher than it was at the end of 2014. One of the main reasons experts consider is the statement of the Swiss National Bank regarding the abandonment of the franc-euro ceiling rate. The customers of Emgoldex continue to take advantage of this favorable situation in the world market. They buy gold and enjoy the most favorable conditions of the bonus program of the online store. Share this important information with others so more people will know about this excellent opportunity to preserve and increase their capital by buying gold in the Emgoldex online store!